I doubt evolution is real. Doing is the evolution of saying. Have they discovered evolution yet? Choice is the engine of our evolution. Is evolution just another name for God? Art must be a slow and normal evolution. Maybe evolution is irrelevant at dinnertime. 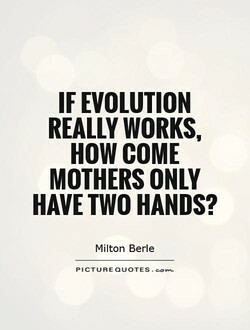 If evolution works, why are monkeys still around? 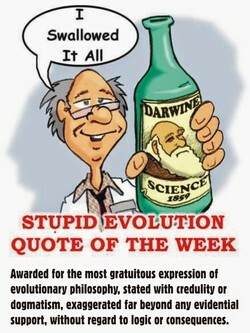 The theory [of evolution] is a scientific mistake. I am not advocating a morality based on evolution. Revolution is our obligation: our hope of evolution. The law of evolution is that the strongest survives. I think everything in life is an evolution, isn't it? 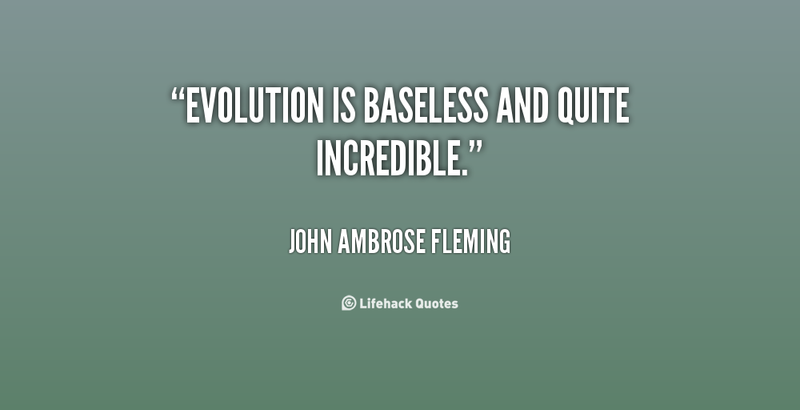 We need a revolution instead of a technology evolution. The evolution of the music is what allows it to survive. The level of evolution in this world is not exactly high. 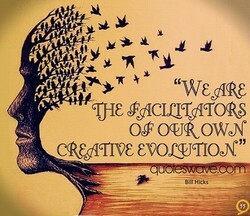 We can and do control the direction of our own evolution. In nothing is there more evolution than the American mind. The evolution in each of us isn't separate from each other. 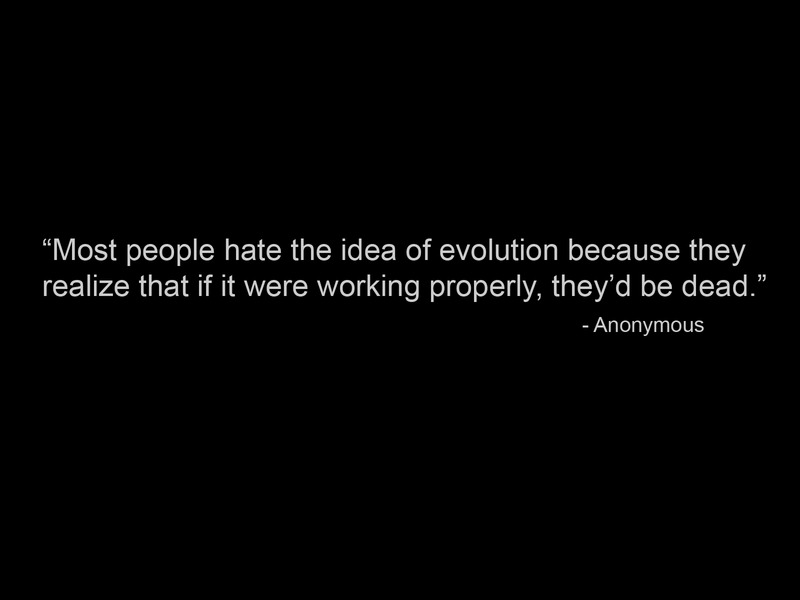 Most Americans have their head in the sand about evolution. In talking of evolution, it is common to have in mind a tree. The human brain is still undergoing rapid adaptive evolution,. Higher has always been the trajectory of intelligent evolution. It's evolution, man. Eventually the student becomes the teacher. We're the last billionth of a second in the evolution of matter. 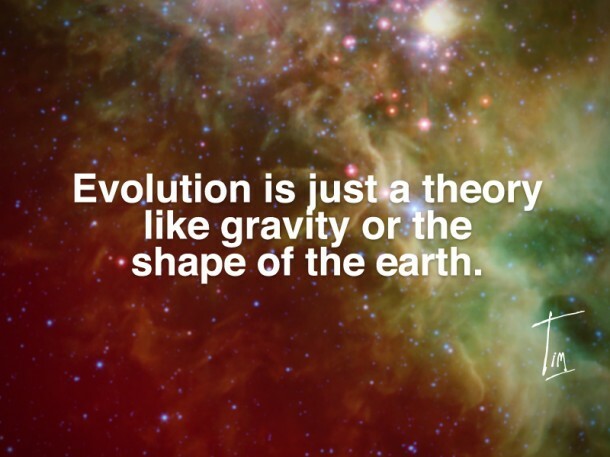 Neither evolution nor creation qualifies as a scientific theory. I'm not as good a swimmer as I used to be - thanks to evolution. An essay is something that tracks the evolution of a human mind. An endangered planet may depend on the evolution of consciousness. Some people make it hard for me to believe in universal evolution. The evolution from happiness to habit is one of death's best weapons. A male feminist is one of the most glorious end-products of evolution. We are the first species to have taken our evolution into our own hands. Women must become revolutionary. This cannot be evolution but revolution. Pay per click was just the beginning. The real evolution is pay per action. Social evolution is demonstrated by movement towards unity, not separatism. A million years of evolution, Eric said bitterly, and what are we? Animals. Given that evolution is a fact, this lack of evolution needs to be explained. At its grandest, political correctness is an attempt to accelerate evolution. No myth of miraculous creation is so marvelous as the face of man's evolution. The home was a closed sphere touched only at its edge by the world's evolution. On the issue of evolution, the verdict is still out on how God created the Earth. In general, the larger the breeding population, the slower the rate of evolution. The evolution of the sport is so fast, if you slow down for a second, you're past. A vital force is active in every individual and leads it towards its own evolution. Don't call for a revolution, but look at yourself honestly and create an evolution. The first lesson of evolution was one of conflict. The lesson now is one of kinship. That is the great mystery of human evolution: how to account for calculus and Mozart. No biologist has actually seen the origin by evolution of a major group of organisms. Everyone goes through their evolution and I go through mine and you go through yours. What we usually call human evolution is the awakening of the divine nature within us. You know what, evolution is a myth. ... Why aren't monkeys still evolving into humans? I love to make people feel like they are taking a part in their own body and evolution. Higher states of awareness is a by product of mental development and conscious evolution. I feel like my evolution has come to a place where now I'm attached to Crazy Rich Asians. The final and conclusive evidence against evolution is the fact that the Bible denies it. Impermanence is not something to be afraid of. It's the evolution, a never-ending horizon. I will give up my belief in evolution if someone finds a fossil rabbit in the Precambrian. In order to keep up with the rapid evolution of the sport, you've got to keep an open mind. 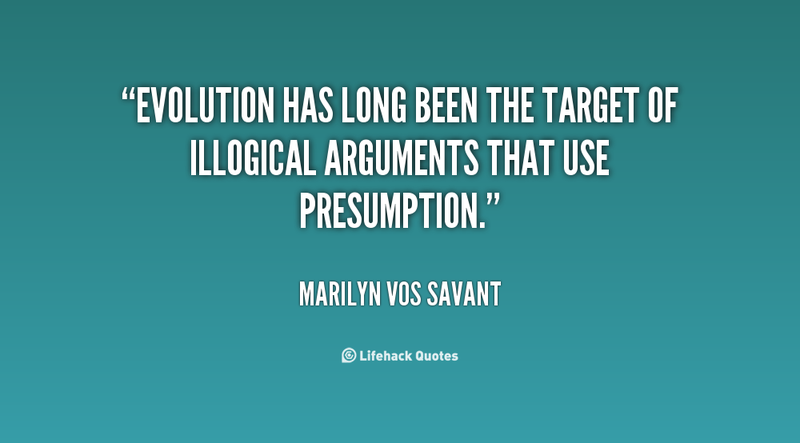 Coercion or compulsion never brings about growth. It is freedom that accelerates evolution. Forget the Bible, the greatest argument against human evolution is a YouTube comment thread. There is nothing inherently wrong with greed as a human motivator-greed motivating evolution. I think the musical evolution I've gone through has come from all the work with the material. 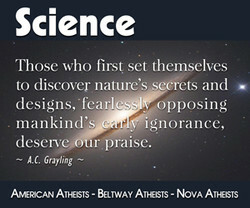 I see nothing in the theory of evolution inconsistent with an Almighty Creator and Protector. Thermodynamics, correctly interpreted, does not just allow Darwinian evolution; it favors it. A mind is a terrible thing. All this evolution nonsense is making me feel like a complete APE! We are sculptors finding ourselves in the evolution of choosing, not in the results of choice. By the cold Darwinian logic of natural selection, evolution codifies happenstance into strategy. A close inspection discovers an empirical impossibility to be inherent in the idea of evolution. Art is an evolution of techniques and materials from past to present and we can't stop learning. There ain't no revolution, only evolution, but every time I'm in Georgia I eat a peach for peace. The causal structure determines the rate and method of evolution, your awareness of the universe. Another possibility is that evolution selected creativity in general as a marker of sexual fitness. I have often thought how little I should like to have to prove organic evolution in a court of law. Creativity may have killed a few cats, but evolution certainly eliminated many more incurious ones. You have to learn it all, then forget it and start again like a child. This is the inner evolution. We are moving from unconscious evolution through natural selection to conscious evolution by choice. Man is not going to wait passively for millions of years before evolution offers him a better brain. The causal body is like DNA or RNA in that it is the coding that determines your level of evolution. The greatest surprise of human evolution may be that the highest form of selfishness is selflessness. Social evolution may be the result of intention, but it rarely, if ever, produces the result intended. The future, higher evolution will belong to those who live in joy, who share joy, and who spread joy. We take foreigners to be incomplete Americans -- convinced that we must help and hasten their evolution. Genuine art and business are the ultimate partnership toward catalyzing social evolution and well-being. Love is the real work of your life. It is your spiritual path. It is the key to your growth and evolution. Slow adaptation is driven by forces such as evolution. Fast adaptation is driven by forces such as insight. The pathways that have led to our evolution are quirky, improbable, unrepeatable and utterly unpredictable. It seems to me that there will be a point in out development or our evolution where you put your guns aside. I wouldn't really worry to much about practicing the yoga of discrimination at this point in your evolution. 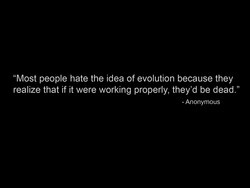 More cases of loss of religious faith are to be traced to the theory of evolution. . .than to anything else. I can see as clear as a daylight that the hour is coming when women will lead humanity to a higher evolution. Art is a ripening, an evolution, an uplifting which enables us to emerge from darkness into a blaze of light. When you walk in a beautiful road, you must know that you are walking on a miracle: The miracle of evolution! The evolution of a highly destined society must be moral; it must run in the grooves of the celestial wheels. 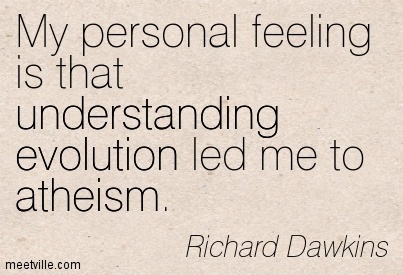 I don't see that [Richard] Dawkins' basic account of evolution is incompatible with God's having designed it. 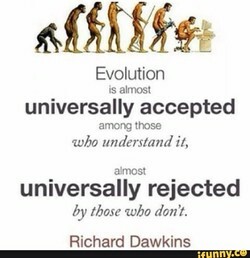 Darwinian evolution is unscientific, unobservable, unbelievable, but understandable in a world that hates God. My point of view and philosophy continues to change and grow. As the years go by you go through this evolution. I think that evolution has had a hand in selecting people who had a sense of doing something beyond themselves. 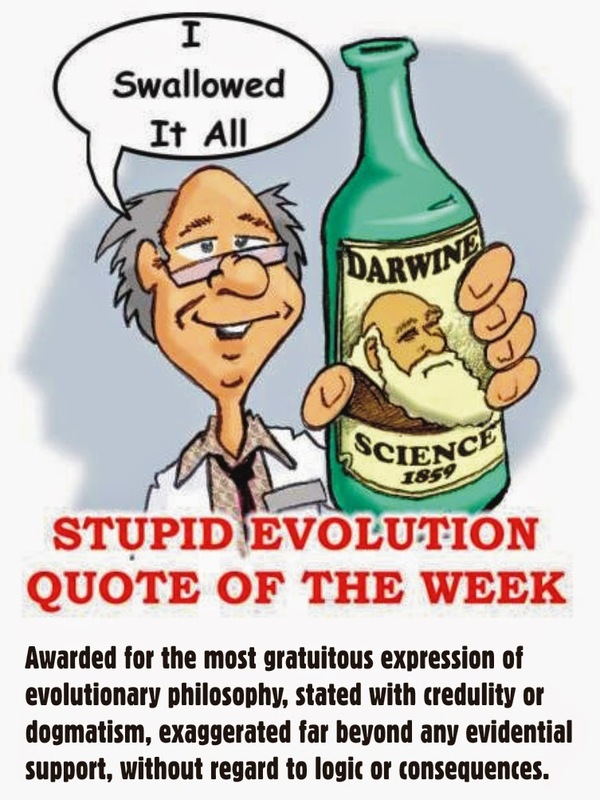 Of course the theory of evolution would be vacuous if it offered a glib explanation for every inexplicable act. If there ever was a time in our evolution of consciousness it is nowâthe ground is prepared for this planting. We need to participate directly in the evolution of consciousness, which, at its core, is the evolution of love. Our children take our level of vibration and raise it even higher. This is how we, as humans, continue evolution. Our ultimate dharma is self-realization. Thoughts and actions that support our spiritual evolution are real dharma. Biological evolution is too slow for the human species. Over the next few decades, it's going to be left in the dust. Whoever authorized the evolution of the spiders of Australia should be summarily dragged out into the street and shot. The good thing is that there is a constant need for innovation, which is important in the evolution of music and sound. Remember Henry Adam's jest that the succession of presidents from Washington to Grant disproved the theory of evolution? 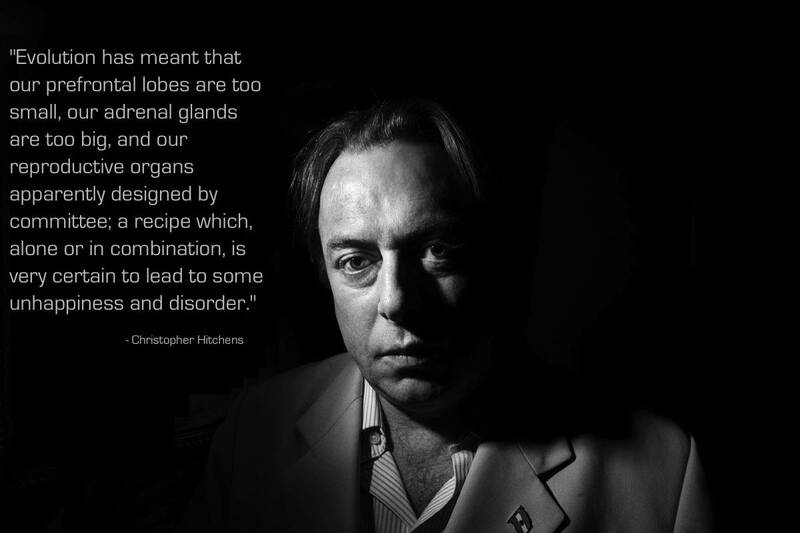 If evolution is true, you could not know that itâs true because your brain is nothing but chemicals. Think about that. Fish deserve to be caught for they are lazy. Two million years of evolution and they still haven't got out of the water. I wanted to find out why I wasn't getting off on what I was doing and try and make some sense out of the evolution of it. Considering the way evolution works, it should not be surprising if every man has got a Don Giovanni somewhere inside him. In the course of an individual being's evolution we will practice each of these yogas. One path is not superior to another. The pathetic thing about it is that many scientists are trying to prove the doctrine of evolution, which no science can do. It's easy to tell who the folks are that don't believe in evolution. They're the ones who have refused to participate in it. Paul Brunton was a great original and got to a place of personal evolution that illumines the pathways of a future humanity. Life is a process of evolution and anyone who thinks the current world order is OK does not get what evolution is all about. A sci-fi yarn that ponders the meaning of time and the importance of evolution while occasionally throwing in some shootouts. We come from an environment molded from 3 billion years of evolution, and when we change our behavior, there may be problems. I worry that humanity has been "advanced" to its present level of incompetency because evolution works on the Peter Principle. I - do I believe in evolution? I embrace the view that God created the heavens and the earth, the seas and all that's in them. This is the result of six billion years of evolution. Tonight, we have given the lie to gravity.We have reached for the stars. The essential quality of life is living' the essential quality of living is change; change is evolution; and we are part of it. A great introduction to cultures is their cuisine. It not only reflects their evolution, but also their beliefs and traditions. Our own species evolved under the influence of group selection, as Darwin emphasized when he discussed the evolution of altruism. From the period when I wrote La Nausea I wanted to create a morality. My evolution consists in my no longer dreaming of doing so. When I was an animal I evolved through selfishness. Now that I am a man my evolution can be achieved only through self-sacrifice. I sincerely believe what happens in India has, I think, lessons, morals for the future evolution of humankind in the 21st century. While other creatures of the evolution are just watching the universe, man alone has the power to change the fate of the universe. 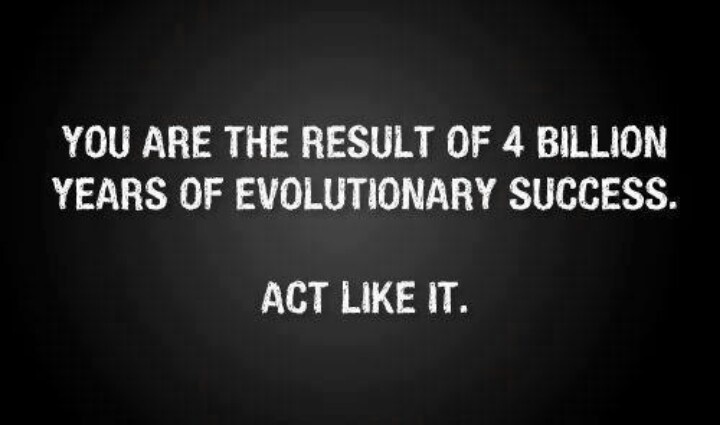 I never say that evolution is a fact. Evolution is a theory. It's much more important than a fact, because theories explain things. The brain rewards us for interacting with beautiful things. In this way, evolution wants to encourage us to do what is good for us. 'Neotenty' is 'remaining young,' and it may be ironic that it is so little known, because human evolution has been dominated by it. 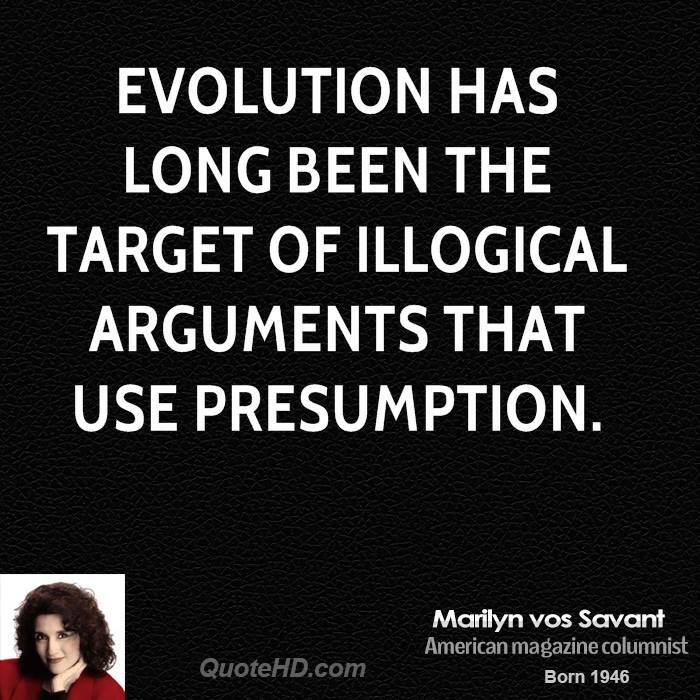 There are very interesting controversies within evolution; however, whether evolution occurs is not one of them. It definitely does. I put all of my resources into pushing the evolution in an industry that is notoriously backwards and I enjoy pushing that envelope,. Curious how Love destroys every vestige of that politeness which the human race, in its years of evolution, has so painfully acquired. Sixty eight percent of Republicans don't believe in evolution. On the other hand, only five percent of monkeys believe in Republicans. It is your soul's journey to enroll the ego in the quest for the ultimate victory - the evolution of your own individual consciousness. Wherever people are in their evolution, they start to come into that hope and feeling like they are okay, that they're going to be okay. Evolution is no linear family tree, but change in the single multidimensional being that has grown to cover the entire surface of Earth. We're following the evolution of tennis. On the women's side, there has been a very positive change, with the arrival of many new stars. No one has ever found an organism that is known not to have parents, or a parent. This is the strongest evidence on behalf of evolution. The organic constitution of the Church is not immutable; but Christian society, just as human society, is subject to perpetual evolution. Death seems to have been a rather late invention in evolution. 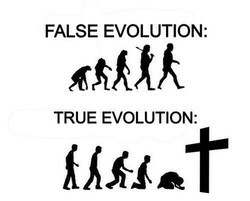 One can go a long way in evolution before encountering an authentic corpse. That great, mighty current of evolution which is advancing the life of everything in creation is simply invincible - no one can resist it. I just want my kid to not hate and to be a good human. That's what you try to do. You hope that they are the next evolution of your thing. Transformation of language through psychedelic drugs is a central factor of the evolution of the social matrix of the rest of the century. The collective unconscious contains the whole spiritual heritage of mankind's evolution born anew in the brain structure of every individual. Evolution is an organizing principle and when we call it a theory, we mean it's a theory, we don't mean that it's a belief that someone holds. The media like a good fight. They pick out the extremes and they leave out all the people in the middle who believe in both God and evolution. 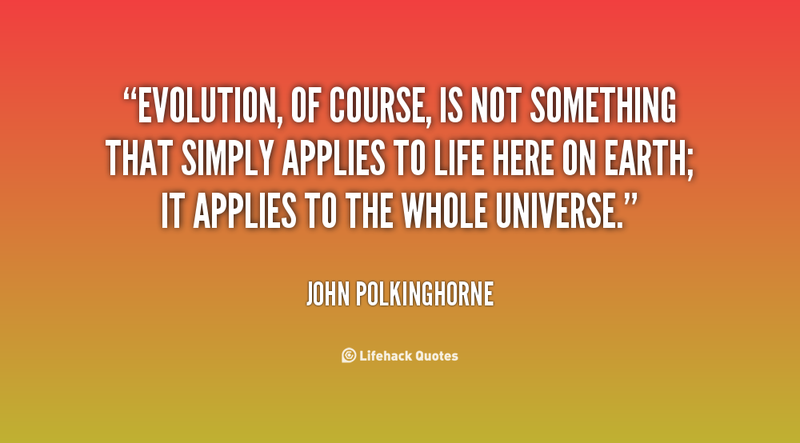 Of course, the other thing about evolution is that anything can be said because very little can be disproved. Experimental evidence is minimal. Evolution is not controversial in the field of science. It's controversial in the public sphere because public education is highly politicized. We can choose this moment of crisis to ask and answer the big questions of society's evolution â like, what do we want to be when we grow up? Today Charles Darwin is best known for establishing the fact of evolution and for recognizing the major role of natural selection in driving it. As a feminine cocreator, having lived through the arc of evolution from 1929 to the present, I offer encouragement and vocational arousal to all! The greatest step forward in human evolution was made when society began to help the weak and the poor, instead of oppressing and despising them. I think it's darkness before the dawn, because the next evolution is going to be a consciousness evolution instead of a communication revolution. Evolution is like walking on a rolling barrel. The walker isn't so much interested in where the barrel is going as he is in keeping on top of it. Nothing is constant but change! All existence is a perpetual flux of "being and becoming!" 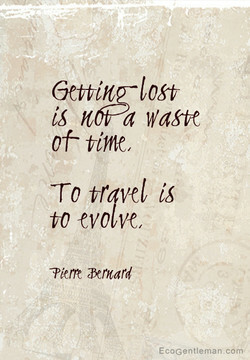 That is the broad lesson of the evolution of the world. Where the world is going and what technology is leading us to in terms of the evolution of humanity is an incredibly valuable thing to understand. I think I was probably wondering, having looked at human beings for a long time, wondering if evolution ever took place. And I still have my doubts. Spiritual evolution is a movement from the states of mind that reflect life less accurately to the states of mind that reflect life more accurately. Each time you dip into the well of existence it changes you. Rapid mental development is that process. 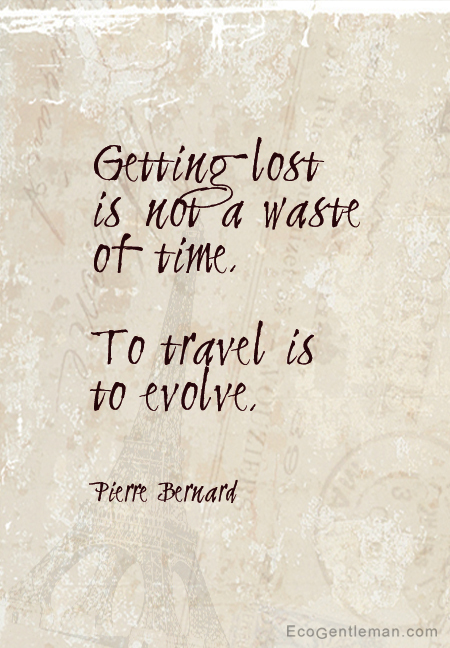 It is a process of escalating your evolution. ...to any one for whom wild things are something more than a pleasant diversion, (conservation) constitutes one of the milestones in moral evolution. Spiritual evolution is part of every soul's destiny on Earth, and each soul grows and evolves at a different rate. You are right where you need to be. ...the emergent capabilities bursting forth from the revolutionary advances in the life sciences are about to make us the principal agent of evolution. That there is an evolution of one sort or another is now common ground among scientists. 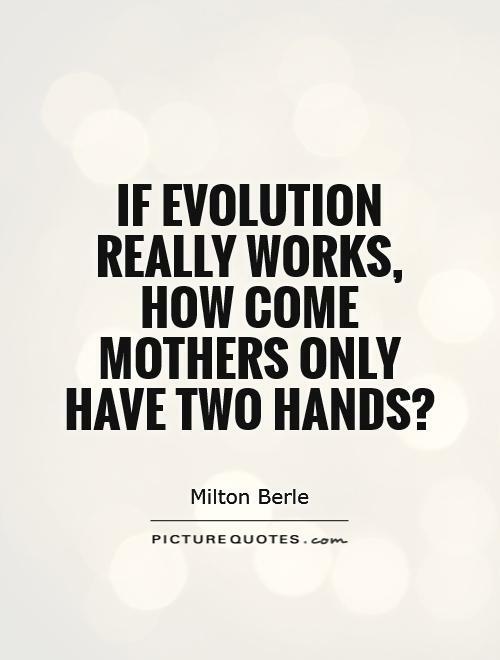 Whether or not that evolution is directed is another question. I'm not interested in collage as the refuge of the composition-ally disabled. I'm interested in collage as (to be honest) an evolution beyond narrative. Evolution was in a strange mood when that creation came along.... It makes one wonder just where the plant world leaves off and the animal world begins. I have come to recognize evolution not only as an active process that I am experiencing at the time, but as something I can guide by the choices I make. So at the request of educators I wrote the World Core Curriculum, the product of the United Nations, the meta-organism of human and planetary evolution. By comparing the human and chimp genomes, we can see the process of evolution clearly in the changes (in DNA) since we diverged from our common ancestor. There are a lot of very brilliant scholars who believe the reason we have incomplete science on evolution is that there is a higher power involved in this. A critical knowledge of the evolution of the idea of property would embody, in some respects, the most remarkable portion of the mental history of mankind. [Evolution Theory] is the motivating factor for guys like Hitler and Stalin and George Bush, by the way, who is a Satan worshipper, like we don't know that. This is a natural evolution, building a complete bath ensemble program and the Joseph Abboud bath brand within the Creative Bath family of licensed programs. When you're fighting for civil rights, it's sometimes two steps forward and one step back. Civil rights are an evolution; and you have to bring people along. 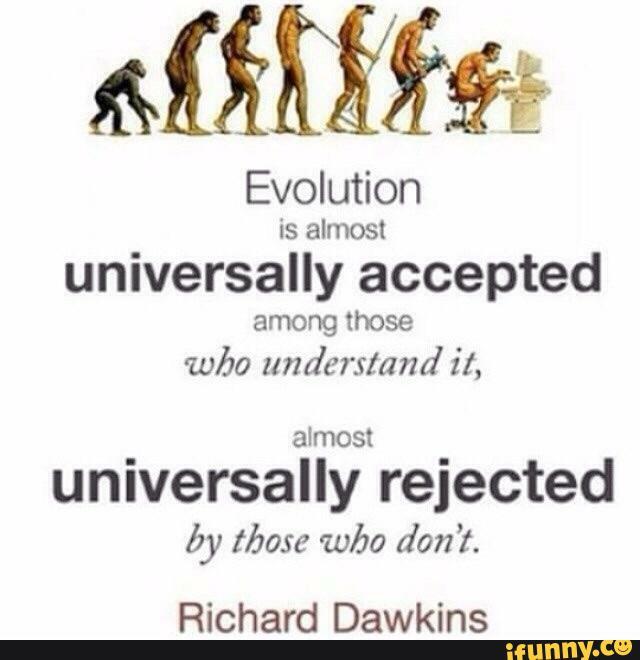 People need to understand the basics of evolution if they are going to reject it"otherwise, they are not contributing anything productive to modern society. Everyone who wears glasses (onstage) eventually takes them off. It becomes part of the evolution. It was actually kind of a battle for me to keep my glasses. It is a misconception to think that during evolution humans sacrificed physical skill in exchange for intelligence: wielding one's body is a mental activity. It wasn't until after I'd been around Timothy Leary, Aldous Huxley and Alan Watts, that I started to reflect about issues like the evolution of consciousness. We can move no faster than the evolution of our language, and this is certainly part of what the psychedelics are about: they force the evolution of language. A person's genetic endowment, a product of the evolution of the species, is said to explain part of the workings of his mind and his personal history the rest. I want to help accelerate the evolution of the press because right now, newsrooms are cutting investigative journalists, and we need investigative journalists. I obviously think that freely available software can not only keep up with the evolution of commercial software, but often exceed what you can do commercially. The theory of evolution explains to us what our ancestry has been. It does not explain away our worth. Why should we be afraid to learn more about what we are? Live fire cooking and barbecue have been so intimately linked with human evolution and history and politics. Everything we do, barbecue informs it in some way. 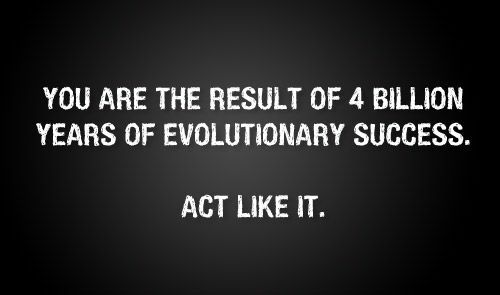 Your true evolution is not what you do out there. That's secondary. Your true evolution is to do with the arising of awareness in you as you go about your life. I don't have any particular expertise-I've never been a banker or an investment banker. But I did see an evolution in the system that I thought was problematic. I mean, in a way, I feel that one of the reasons for learning about Darwinian evolution is as an object lesson in how not to set up our values and social lives. Thus the recent rapid evolution of human intelligence is not only the cause of but also the only conceivable solution to the many serious problems that beset us. For most women, the success of conservative women is good for all of us, unless you believe in evolution. Actually, I take it back. The whole thing is a disaster. Common stock investors can make money by predicting the outcomes of practice evolution. You can't derive this by fundamental analysis - you must think biologically. Recovery challenges the established order and as such, is a 'great idea' along with the ideas of evolution or a 'round earth'; turning all our thinking upside down. Die Entdeckung der Evolution schließt die Einsicht ein, dass unsere Gegenwart mit absoluter Sicherheit nicht das Ende (oder gar das Ziel) der Entwicklung sein kann. 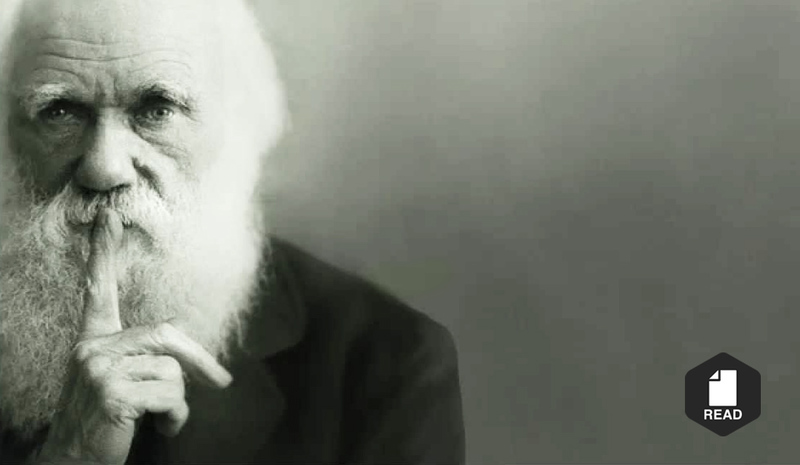 The man that created the theory of evolution by natural selection was thrown out by his Dad because he wanted him to be a doctor. GAWD, parents haven't changed much. Darwinan evolution is limited to the biological aspect but before that happened the molecules themselves had to evolve to enable this further (biological) evolution. Those who cavalierly reject the Theory of Evolution, as not adequately supported by facts, seem quite to forget that their own theory it supported by no facts at all. Religion is a feature of cultural evolution that, among other things, addresses anxieties created by cultural evolution; it helps keep social change safe from itself. I think the whole of music comes down to one's personality. It's not about the notes or how you press the keys; it's where you are in your evolution of consciousness. The car is undoubtedly quicker and more balanced. The traction and braking can still be improved a bit but there's been a good evolution already from three weeks ago. I think it is important to stay open to the world around you, so that you are constantly in a state of growth and evolution, which can only happen through inspiration. With the passage of time, as well as the social evolution and genetic exchange, we ended up putting our conscience in the color of our blood and the salt of our tears. I did not know from a scientific perspective why I did not believe in evolution - but I knew from a Biblical perspective it had to be wrong or my faith was in trouble. In fact, evolution became in a sense a scientific religion; almost all scientists have accepted it and many are prepared to "bend" their observations to fit in with it. The German Fuhrer, as I have consistently maintained, is an evolutionist; he has consistently sought to make the practices of Germany conform to the theory of evolution. Once we understand that what happens beyond our control may be just what we need, we see that acceptance of reality can be our way of participating in our own evolution. I remember writing a paper on human evolution in 1944, and I simply left Piltdown out. You could make sense of human evolution if you didn't try to put Piltdown into it. Evolution created a violent order where beings eat other beings. Till we change this order and create a harmony between all beings, there shall be no real peace on Earth. We seem to be trapped by a civilization that has accelerated many physical aspects of evolution but has forgotten that other vital part of man -- his mind and his psyche. We don't have a revolution, and we don't have the time for evolution, where does it come from? It must come from some kind of shared experience that everybody agrees with. ...everything in psychosocial evolution which can properly be called advance, or progress, or improvement, is due directionaly to the increase or improvement of knowledge. In Tantric Zen, career, relationships, the type of insurance you have - all things are part of your evolution, your awareness, your experience of the suchness of existence. When discussing organic evolution the only point of agreement seems to be: "It happened.' Thereafter, there is little consensus, which at first sight must seem rather odd. There are several key pieces to keeping audiences engaged, and the evolution of that. One of them, mostly importantly really, is to have a brand that has purpose and value. You have to offer sort of an evolution visually and do things like you've never seen before, like a fight between two men in a toilet on an airplane which was very exciting. 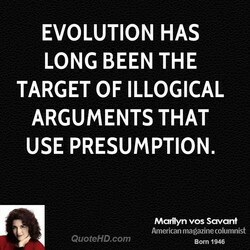 I say the Intelligent Design-evolution debate misses the point. It trivializes God and it trivializes science. The universe is like the hand of God. The world is God's body. The whole evolution of present-day society tends to develop the various forms of bureaucratic oppression and to give them a sort of autonomy in regard to capitalism as such.